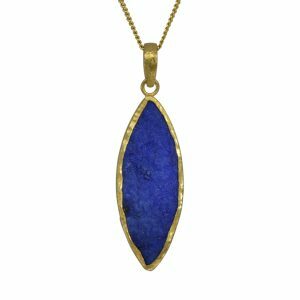 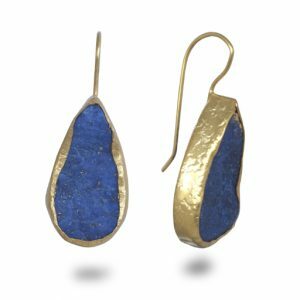 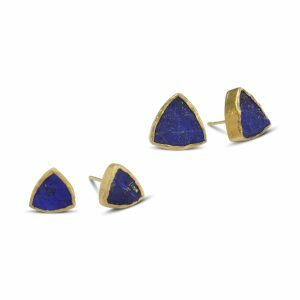 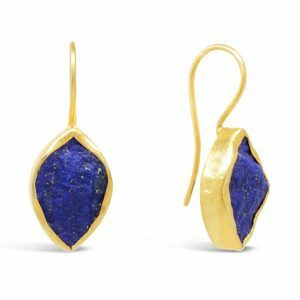 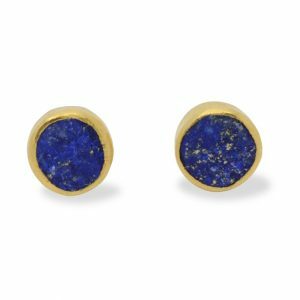 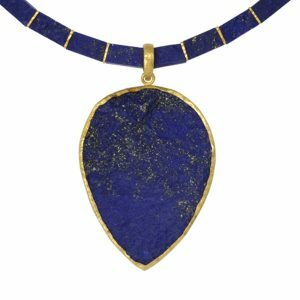 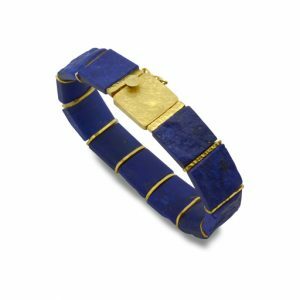 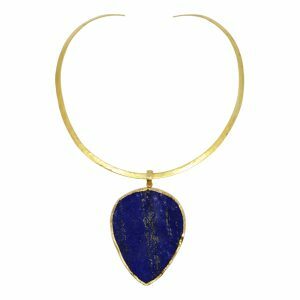 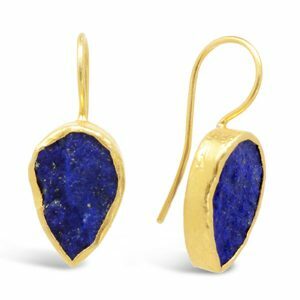 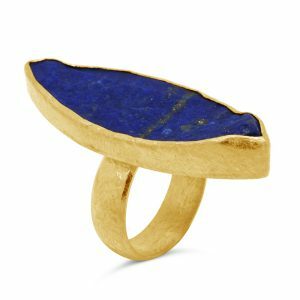 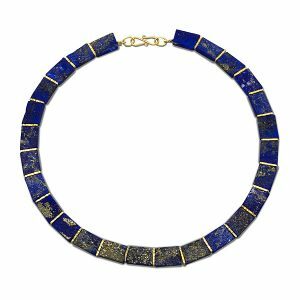 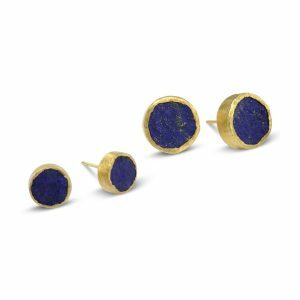 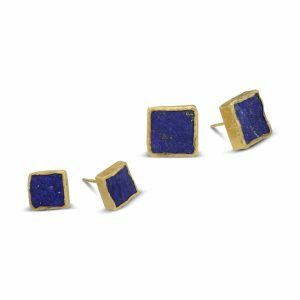 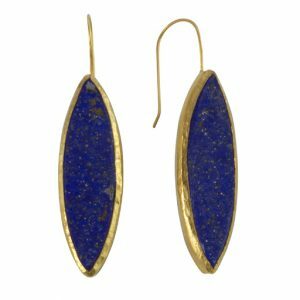 Our Lapis Lazuli is sourced in Afghanistan and cut to our design by our stone cutter in Jaipur, India ensuring a good consistent blue with plenty of gold flecks and unique design. 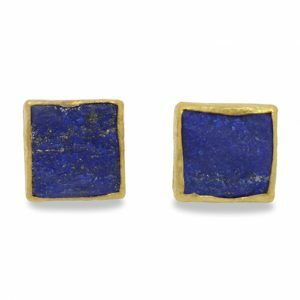 We like to leave the surface of the Lapis rough giving it a lively texture which lends an undulating organic shape to the edges of the setting. 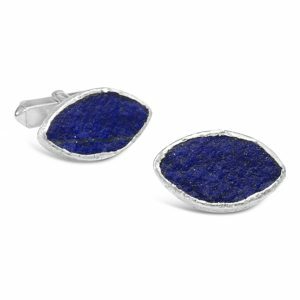 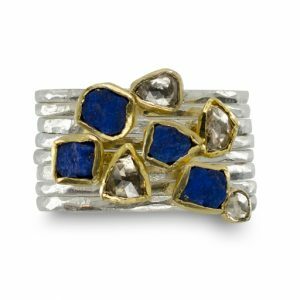 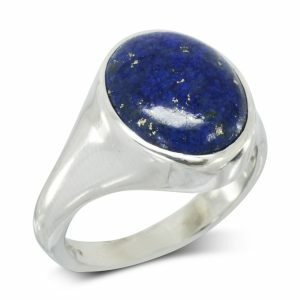 Lapis Lazuli is one of the most sought after stones since man’s history began. 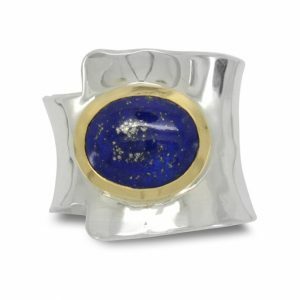 Its deep, celestial blue remains the symbol of royalty and honour, gods and power, spirit and vision. 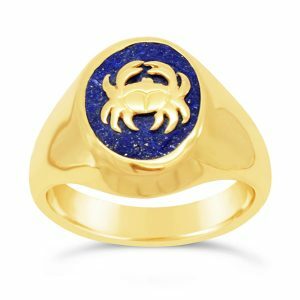 It is a universal symbol of wisdom and truth. 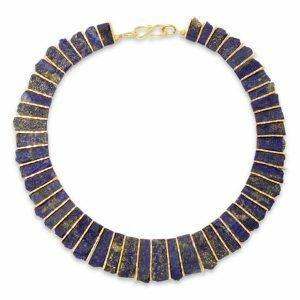 In ancient times Lapis Lazuli was most highly regarded because of its beautiful colour and the valuable ultramarine dye derived from it, more valuable than gold. 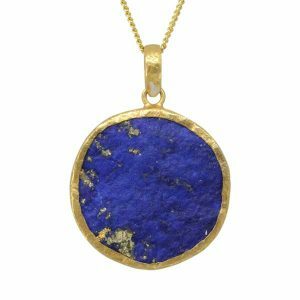 Its name comes from the Latin lapis, “stone,” and the Persian lazhuward, “blue.” It is rock formed by multiple minerals, mostly Lazurite, Sodalite, Calcite and Pyrite, and is a rich medium to royal blue with gold flecks (pyrites). 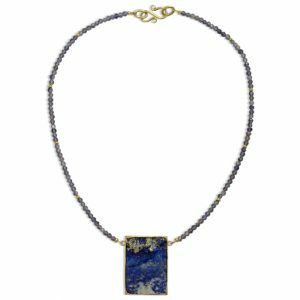 Lower-grade Lapis is lighter blue with more white than gold flecks, and is sometimes called denim Lapis. 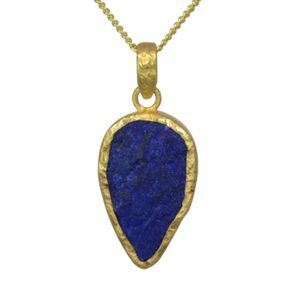 Mines in north-east Afghanistan and Pakistan are still the major source of royal blue lapis lazuli.